Get ready to experience Carnival in a way you’ve never experienced it before. 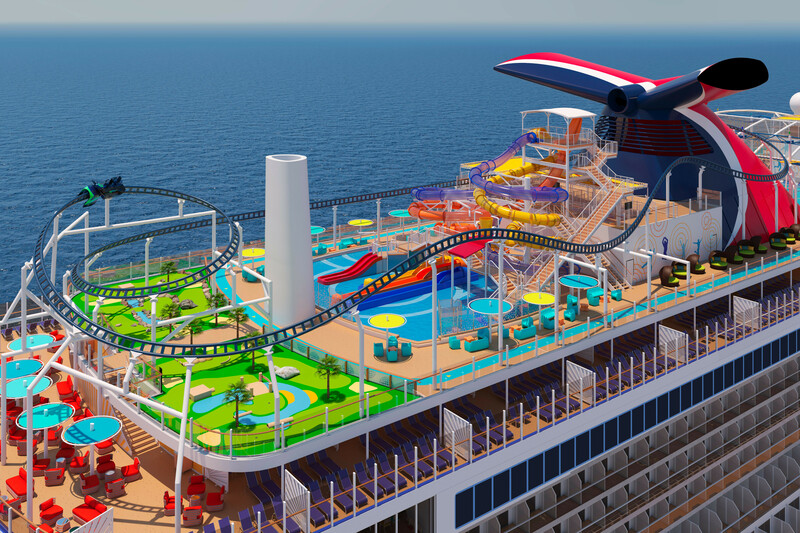 Mardi Gras, Carnival’s most innovative ship yet, is set to debut in Port Canaveral in 2020 and will introduce a whole new level of fun with the first-ever roller coaster at sea with BOLT™: Ultimate Sea Coaster™ plus six themed zones: The Ultimate Playground, The French Quarter, La Piazza, Grand Central, Summer Landing, and Lido – inviting guests on a totally personalized vacation experience. Throughout the ship’s 20 decks and in each of these six distinctive areas, your will find fun, memorable ways to create your own personalized vacation with dining, drinks, entertainment, recreation, and relaxation. Not to mention, accommodations on the ship will include more than 20 different stateroom categories and multiple levels of spacious and luxurious suites. Here is a sneak-peek at the six-themed zones you can enjoy aboard Mardi Gras! Get a sense of wonder the minute you step onboard. 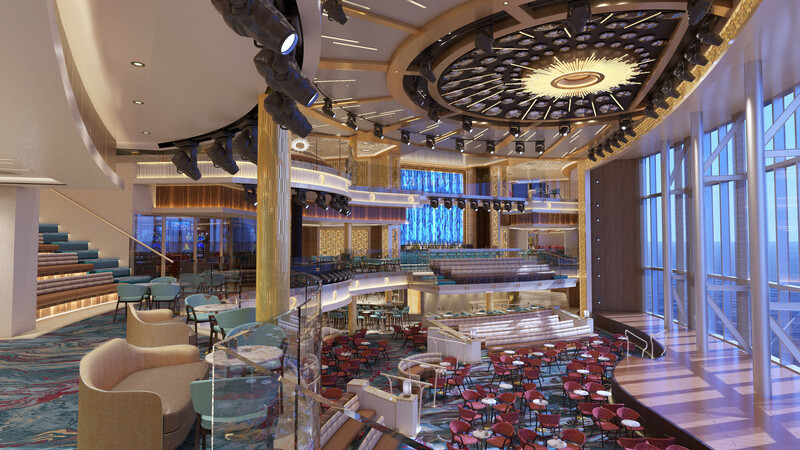 Grand Central takes the traditional atrium concept to new heights with three-deck-high floor-to-ceiling windows and a bar overlooking the starboard side of the ship. It’ll be home to the first-ever dedicated Punchliner Comedy Club and the popular Piano Bar 88, with an expanded Bonsai Sushi and Bonsai Teppanyaki just steps away! Themed after New Orleans’ culture, the French Quarter hosts an array of eateries, cool bars, and lounges for guests to enjoy. This zone is linked via a two-deck-high promenade leading to a traditional New Orleans jazz club with live entertainment and hand-crafted drinks. Designed as an ultimate chill spot, Summer Landing will be home to an expanded Guy’s Pig & Anchor Smokehouse Brewhouse, plus Carnival’s exclusive ParchedPig craft beers brewed right on board. 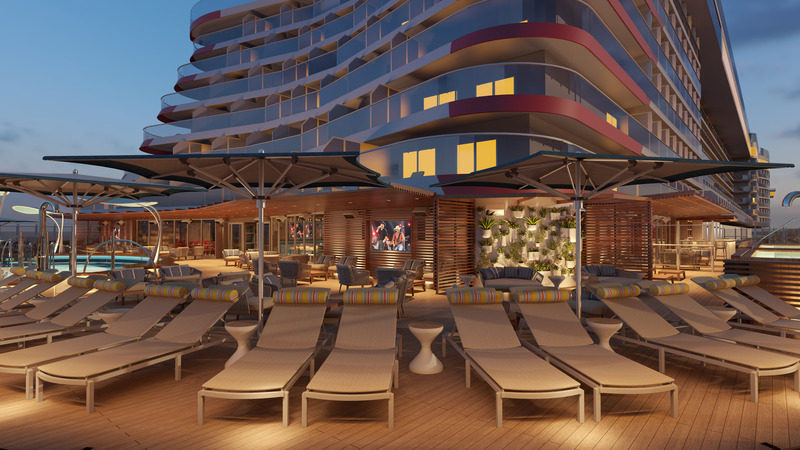 For those looking to relax and enjoy summer-inspired fun, there will be a pool, whirlpools, a new bar, and ample lounging spaces. An Italian-inspired zone, La Piazza, is where your clients can enjoy authentic cuisine such as Cucina del Capitano, Pizzeria del Capitano, and a brand new Mediterranean-themed seafood restaurant. There’s also a bar where they can savor cappuccino by day or classic Italian cocktails at night, while roaming musicians keep everyone entertained! Mardi Gras will take Lido to a whole new level! Featuring Carnival favorites such as Guy’s Burger Joint, Seafood Shack, BlueIguana Cantina Mexican eatery, along with new food experiences foodie fans will love. Get ready for the cruise of a lifetime, choose from six- to 15-day sailings visiting top destinations throughout Europe and the Caribbean beginning in summer 2020.